The coming days are expected to be busy for those involved in the Cruise Industry on Nevis as the 2016/2017 Cruise Season comes to a close. Devon Liburd, Director of Sales and Marketing at the Nevis Tourism Authority (NTA), told the Department of Information on March 09, 2017, three ships are expected to bring more than 1,500 passengers to the island’s shores. He appealed to all involved in making the visitor experience a memorable one, to prepare for the ships last visit to Nevis for the 2016/2017 Cruise Season. “Over the next week or so, we have three ships which will be calling on Nevis. Club Med on Friday March 10th with 386 passengers. 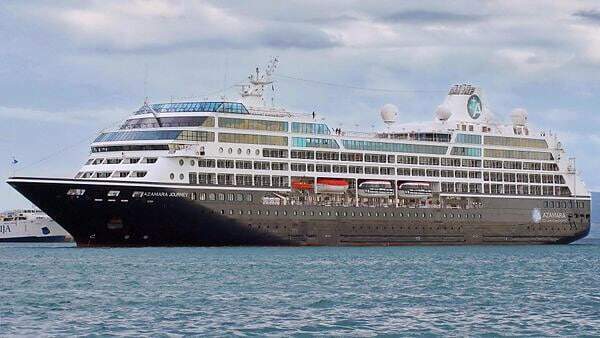 On Sunday we are expecting MS Hamburg with about 400 passengers and next week Wednesday March 15, we are expecting Azamara Journey with 686 passengers. “It’s going to be a busy couple of days coming up and we are appealing to all our taxi drivers, our vendors, our gift and craft artisans to prepare themselves for these passengers who will be coming to Nevis,”Â he said. Liburd pointed out that the previous schedule had listed a different date for the arrival of Azamara Journey and urged all to pay particular attention to the schedule change. Regarding the MS. Hamburg, he the expected time of arrival, efforts are being made by the agents for confirmation. “We have not confirmed the time of arrival yet for this particular ship. The website is saying that they are going to be in at 2:30 in the afternoon and leave at 7:30 p.m. but the ship’s agent is making confirmation that so once I receive confirmation I will pass that on,”Â he explained. Meantime, in an invited response to the status of the 2016/17 cruise season which is nearing the end, the NTA official gave it high marks. “After Wednesday March 15, we have just about three more calls â€“ Sea Dream I and II. The llast schedule call is expected on March 28. The season as it would have passed, was an improvement over what we had last season. “We had a bit more calls. We had up to seven unscheduled calls. We are also seeing the SV Mandalay which they would not have sent a schedule, they are coming in on a regular basis. So the season was a good season,”Â he said, adding that, the NTA was looking forward to an even better 2017/2018 cruise season. Liburd believes that because of the successful season, the island’s taxi drivers, artisans and restaurant persons benefited from the season.